Snake River Area Office manages 27 dams and reservoirs with a total active capacity of approximately 6.8 million acre-feet, providing water to 83,000 farmers and more than 30,000 farms. Six powerplants provide 821,870 megawatt hours of electricity annually. 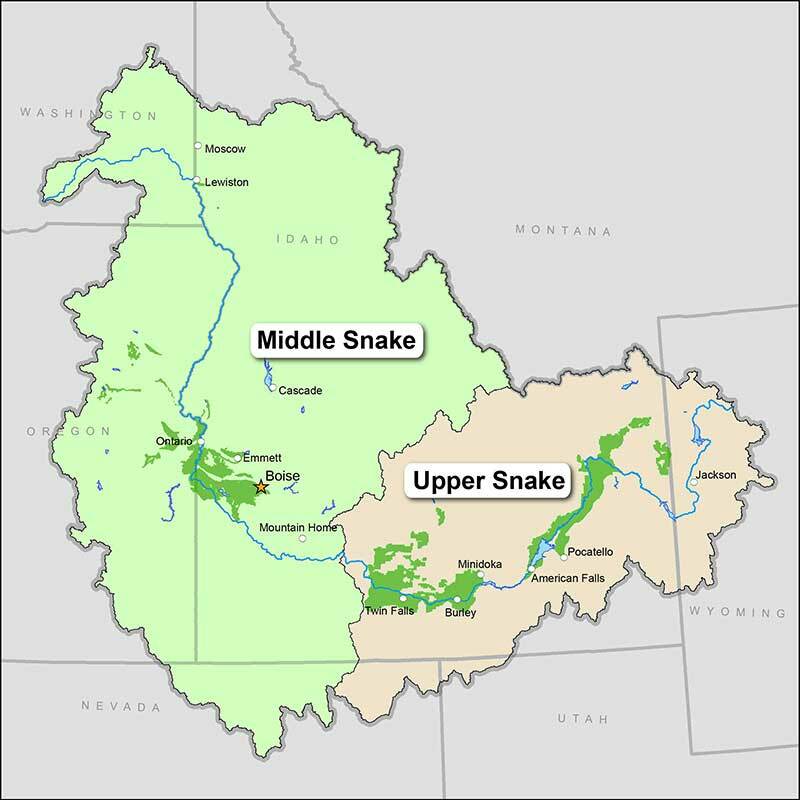 The Middle Snake Field Office manages the dams and projects from eastern Oregon to King Hill, and the Upper Snake Field Office manages the area from King Hill to western Wyoming.